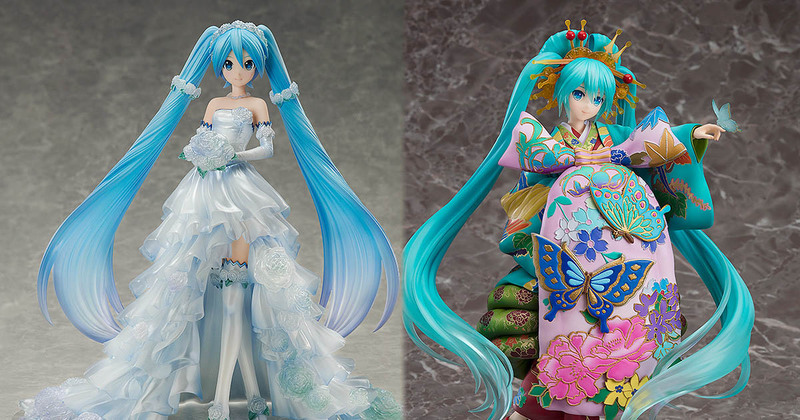 The Hatsune Miku: Wedding Dress & Chokabuki Kuruwa Kotoba Awase Kagami ver. 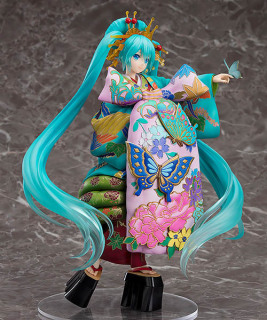 figures are now open for preorder! 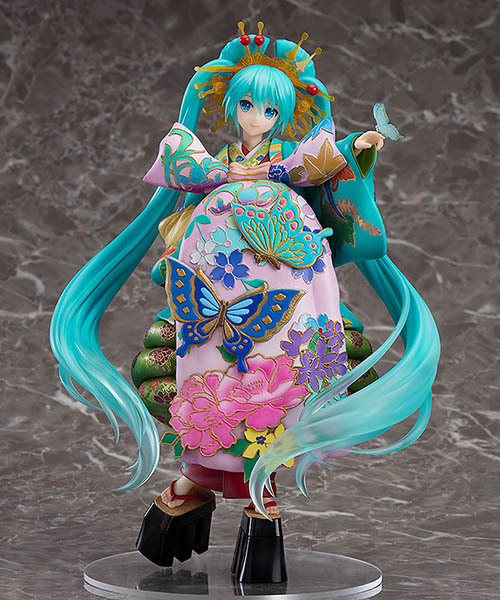 The eternal songstress is now available in her elegant wedding dress and a high-quality kimono of excellent craftsmanship! 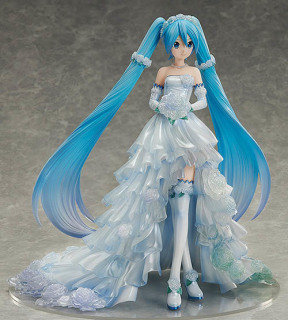 A new 1/7th scale figure of Hatsune Miku has been brought to life, this time in a pure white dress based on an illustration by KEI. Her beautiful princess line dress features roses in full bloom and a multi-layered lace design, highlighting the eternal purity of the songstress. Your blissful future together is reflected in her gentle gaze and smile. Be sure to add the beautful bride, Hatsune Miku, to your collection! 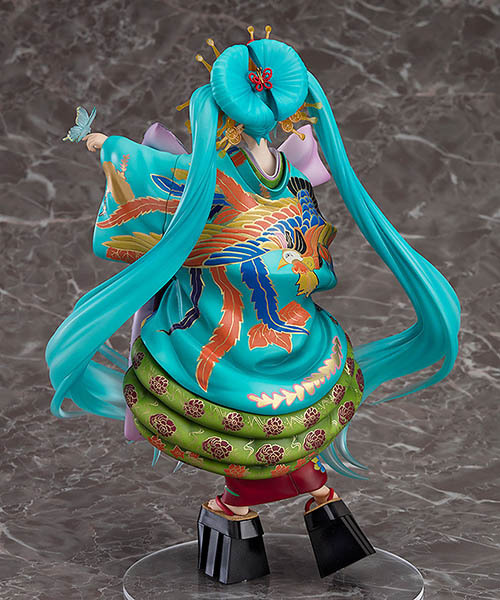 From “Character Vocal Series 01: Hatsune Miku” comes a 1/7th scale figure of Hatsune Miku as the courtesan “Keisei Hatsune Dayu” in the kabuki play, “Kuruwa Kotoba Awase Kagami” held at the 2017 Niconico Chokaigi. Her kimono features a detailed pattern and embroidery, all sculpted and painted with the utmost delicacy. 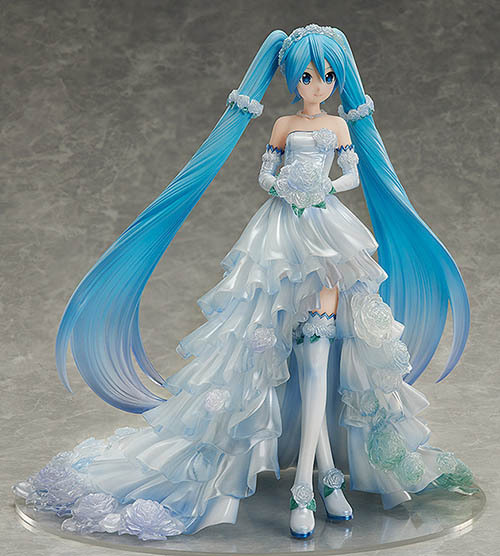 Preorders for the Hatsune Miku: Wedding Dress ver. 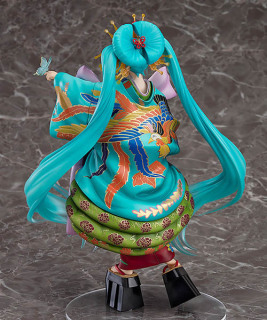 figure will be available until November 8th. She’s priced at 19,800 yen on Good Smile’s online shop, and is scheduled to ship in June next year. The Hatsune Miku: Chokabuki Kuruwa Kotoba Awase Kagami ver. 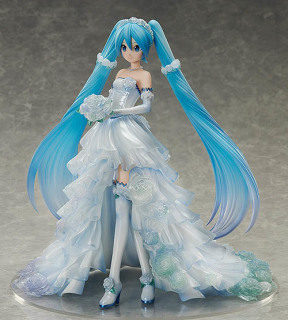 figure, on the other hand, will be available for preorder until October 11th. 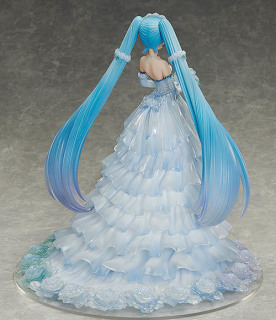 She’s priced at 22,000 yen on Good Smile’s online shop and is scheduled to ship in October next year. 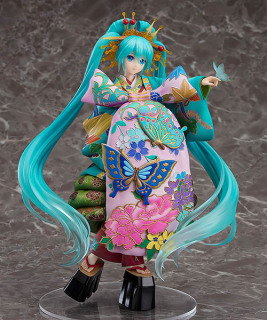 You can also find her on the many online stores listed below! 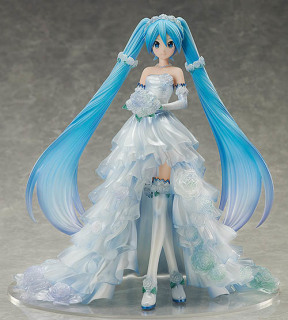 The MIKU WITH YOU concerts will be making a return once again this time in the two great cities of China, Beijing and Shanghai, according to the leaks from the Chinese government. The concerts will take place at the M Space venue on October 13th~14th and at the Shipyard 1862 venue on October 27th~28th for the Beijing and Shanghai performances, respectively. In addition to the mentioned details, a concert setlist for Beijing performance is also out. 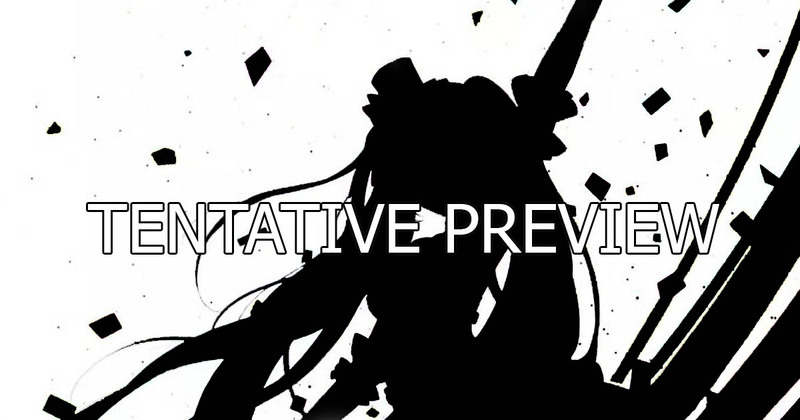 The official announcement and main visual art will likely be shown soon. Below is the concert setlist for Beijing performance*. 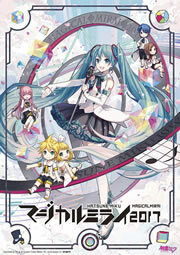 *The setlist is likely subjected to future changes due to the missing entry in the list titled “Pick Me Up” by Demon, a winning entry from the “MIKU WITH YOU” song contest held earlier this year. Stay tuned for more info.